The Big Hairy Monster is lonely. When winter comes, freezing the earth, the animals in the forest search for warm shelter. Two bears, three wild boars, four deer and so on up to ten field mice, all find warm hollows in a hill of snow. When spring comes, they are surprised to see where they have sheltered and found warmth. Seon-hye Jang’s ‘The Big Hairy Monster’ is part of the world’s largest mathematical story picture book series, called TanTan Math Story (70+ titles). The English translation of this original South Korean version was done in 2015. 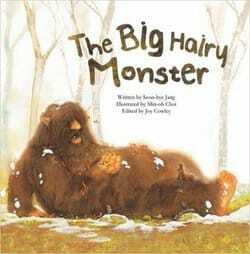 The story is about a big hairy monster who is all by himself. The winter comes and other animals in the woods begin to notice that the monster is nowhere to be seen. Throughout the story, different numbers of different animals are shown to be taking refuge from the cold air in a big heap of snow (e.g. two bears, three wild boars, four deer, and ten mice). Once the snow begins to melt, the animals soon realise where the big hairy monster has been throughout the winter. While the storyline is somewhat weak, the story can be useful to show very young children visually the quantities from 1 to 10. 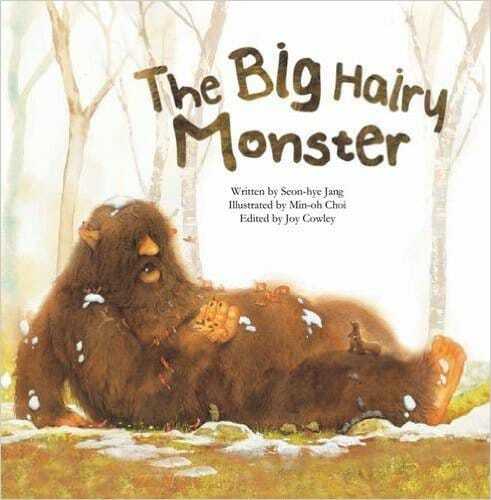 All in all, ‘The Big Hairy Monster’ provides a light-hearted context for children aged 4+ years old to practise counting from 1 to 10.